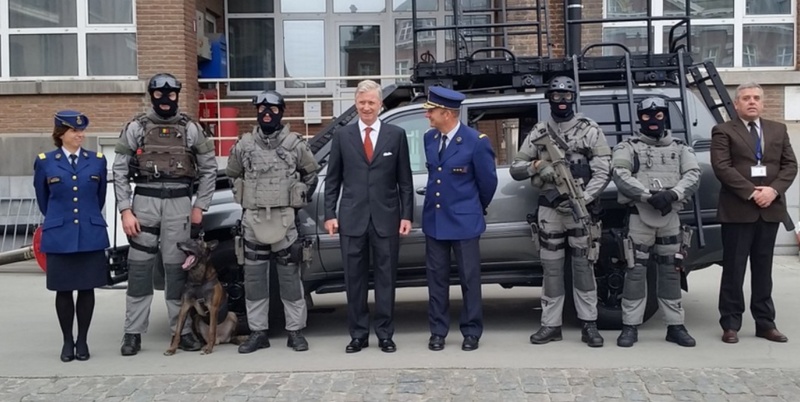 (VIDEO) His Majesty King Philippe of Belgium Visits the Police Fédérale. On the morning of Tuesday, November 10, 2015, His Majesty King Philippe of Belgium, accompanied by the Minister of Justice, Mr. Koen Geens, and the Vice-Prime Minister and Interior Minister, Mr. Jan Jambon, visited the Police Fédérale located at the Complexe de Witte de Haelen in Etterbeek. During today’s visit His Majesty met with members of the Direction Specials Units (DSU) special forces and participated in a DSU meeting where he was informed about the units various missions according to the Belgian royal court. Previous HM King Willem-Alexander of the Netherlands Reopens De Resident. Next News Regarding Her Majesty Queen Letizia of Spain.